I am Arka Sadhu, currently a first year PhD student at University of Southern California. I work with Prof. Ram Nevatia, in the fields of Computer Vision and Natural Language Processing. I intend to use this website to share some of my technical knowledge and insights. 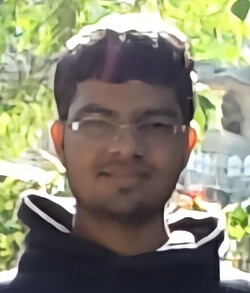 I completed my undergraduate from the Department of Electrical Engineering (EE), Indian Institute of Technology Bombay in 2018 along with a minor in Computer Science Department (CSE). I did my BTech Project (undergraduate thesis) with Prof. Subhasis Chaudhuri on Graph CNN for disease detection using ECG signals. March 2018 Co-organizing a workshop on detecting Audio-Visual Fakes at ICML'19 . The call for papers is out . Submission deadline is 1 May 2019 (anywhere on earth). Dec 2018 Released VCR-Bert: Using BERT for QA on the VCR dataset. Achieves 6% more than the scores reported in the paper. Oct 2018 Released Awesome Grounding: A collection of papers on visual grounding which came out in the recent years. Sep 2018 I will be attending the Pytorch Dev Conference at San Fransisco on Oct 2nd. Aug 2018 I have joined University of Southern California as a PhD student. I am working in Prof. Ram Nevatia's lab in PHE234. © 2019 Arka Sadhu. Powered by Jekyll & Minimal Mistakes.